The creativity in ideas is very important when you want to design a website or blog with a specific brand. This is the only thing that will retain your visitors and keep them surfing through inner pages than bouncing away just after viewing the homepage of your website. For getting some design’s facts, a trusted web source has compared the fonts, backgrounds, colors and graphics of top 200 websites. The results are not only impressive but useful to take a note of if you are looking forward to create a remarkable design and layout. After comparing the statistics, it is found that among top 200 highest earning websites, 167 have a white background. 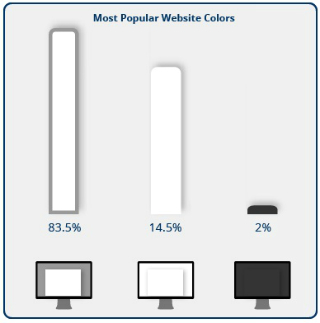 And in percentage of those 167, 83.5% websites have a white background with gray border, 14.5% are completely white and remaining 2% are entirely black, including border and background. 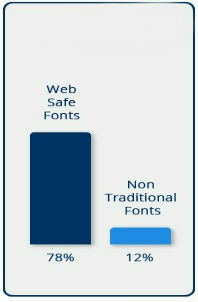 The statistics of the top 200 websites show the trend of “web safe fonts” and also called as the graphic fonts. These fonts are compatible to all browsers and used across all major operating systems. And, 78% of those top 200 websites are designed in web safe fonts. The only 12% of websites are created with other fonts known as Non-traditional fonts. It is very important to add some eye-catching images with the beautiful brand design to make users stay on your website. Visitors immediately decide whether to stay on your website or not. Online reports and statistics reveal that most of the websites are designed with the images above the fold. 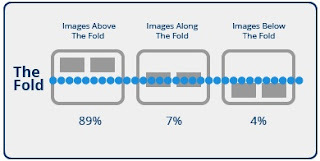 The 89% of websites have images above the fold, 7% along the fold and 4% have images below the fold. It is very true that the use of simple colors, catchy images and web safe fonts can do the magic for your brand website. 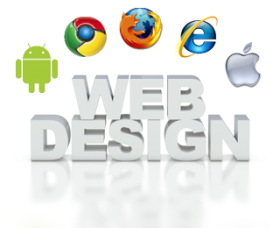 A whole flash or non- traditional designed website can’t attract visitors much as the simple and classy website. Do you want to become an internet billionaire? Are you looking for the highest earning websites of 2012 to invest in?